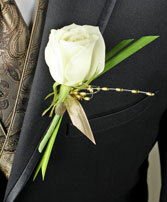 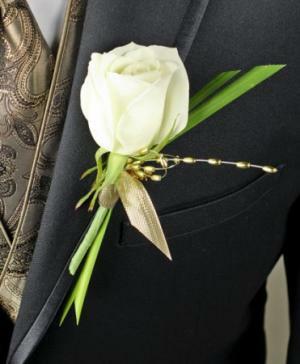 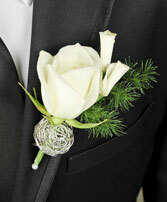 This White Rose prom boutonniere is the perfect finishing touch for a big night to remember! 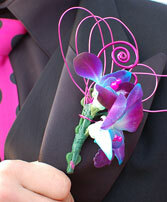 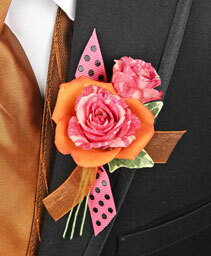 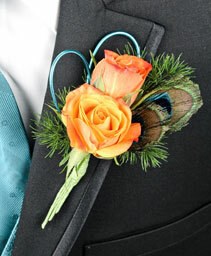 We can match the ribbon color on the prom boutonniere as well. 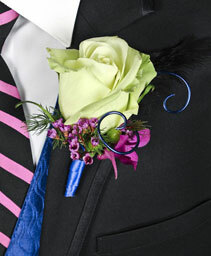 Call your local Riverside Flower shop - Willow Branch Florist of Riverside - to pick your prom corsage today! 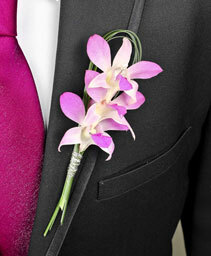 Gorgeous purple orchid boutonniere surrounded by matching decorative wire. 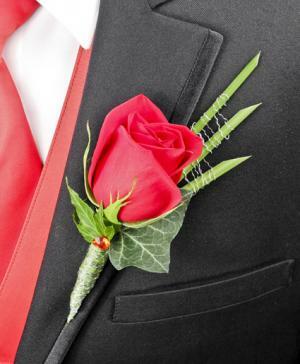 This Red Rose Boutonniere is simply elegant! 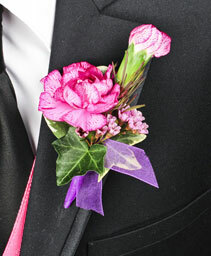 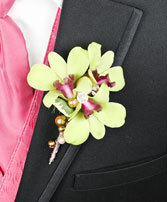 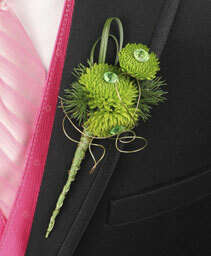 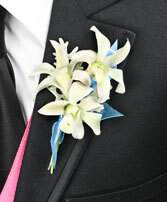 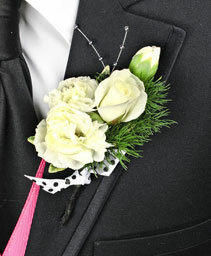 Order this prom boutonniere online or call our florists at our local Riverside flower shop today! This Ritzy prom boutonniere is radiantly red and sure to highlight her beauty. 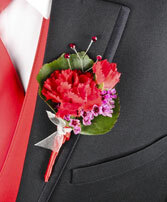 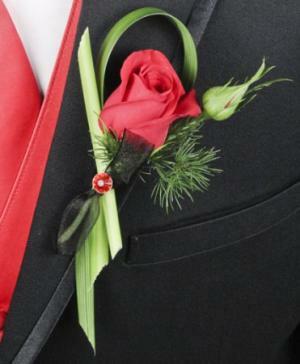 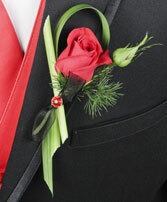 Order your Ritzy Red prom boutonniere online or call our professional florists in Riverside today! This Romantic Red Rose boutonniere is a simple yet elegant final touch for a memorable night. 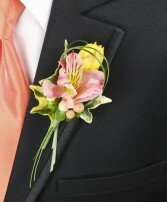 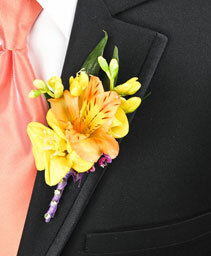 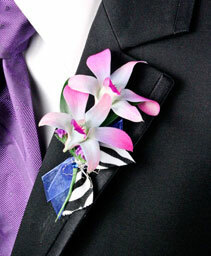 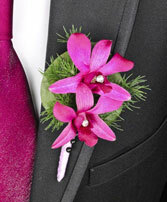 Order your prom boutonniere in advance to insure availability! 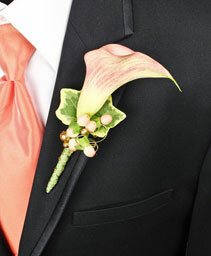 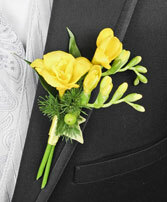 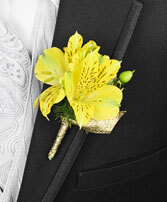 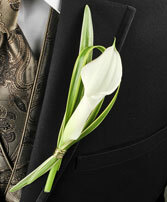 Give him a touch of class with this elegant Calla Lily boutonniere! 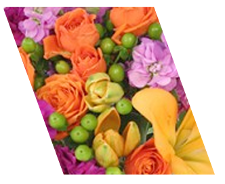 Call our local Riverside Flower shop to speak to our professional florists or order your prom boutonniere online today!